Does Your Child Have an Executive Function Problem? Dr. Adam Cox Connecting people with ideas for learning and living well. Helping to build purposeful lives. It probably comes as no surprise that as a psychologist, I’m a staunch advocate for psychotherapy. Yet the notion of getting “counseling” has become so mundane (almost to the point of being a cliché), it seems like a good time to reconsider the value of therapy, and how it is the “turning point” for so very many children and families. Macho-style, “pull yourself up by the bootstraps” media may make lots of sarcastic quips about counseling, but those quips say more about the fear of being honest with oneself than the life affirming, connective experience of good therapy. What is Good Therapy? It is significant that the field of mental health itself is in a perpetual quandary about what psychotherapy should look like. There is always a little friction – even if unspoken – between university-based psychologists who do research, and those whose time is spent primarily doing clinical work. Those of us who work directly with clients tend to like lots of autonomy to do therapy as it suits us. About 90% of therapists feel they are above average at providing therapy (similar statistics apply to physicians and university professors), and consequently we have entrenched beliefs about doing things our way. In contrast, academic psychologists feel frustrated that much of their research goes unnoticed by clinical practitioners. It’s caused many in academia to feel disenfranchised by clinicians. Of recent, this tension has resulted in a the zealous attempt to restrict practitioners to EST’s (empirically-supported treatments) by encouraging insurance companies to deny payment for treatments that have not been scientifically validated. In a sense, those doing research would become gatekeepers for what goes on in clinical offices. Can we realistically disregard a client’s instincts with respect to whatever benefits the therapy will have? If so, maybe we should only be allowed to marry people with scientifically validated approaches to raising children, or be allowed to have children if we agree to raise them according to strict scientific advice. In the final analysis, most relationships are too organic to be governed by laboratory-generated algorithms. What everyone seems to agree upon is that effective therapy should result in a positive outcome. Until recently, however, this equation wasn’t exactly a “no brainer.” Why? Because the history of psychotherapy heavily emphasized memory, reflection, and insight as pathways to resolving subconscious, intrapsychic conflicts. This emphasis on looking at the past stands in stark contrast to the future focused cognitive-behavioral approach that dominates contemporary psychotherapy. All this is not to suggest that the earlier style of psychotherapy is no longer done – it certainly is, and there are still many adults who choose this form of treatment. However, where family dynamics and child behavior is the primary concern, most choose to approach the problem by looking forward rather than backward. Parents make that decision because more often than not there is a some degree of urgency about the problem in question, and families need to see results sooner rather than later. Rather than being intimidated by this urgency, we ought to see it as a source of vitality that can jumpstart psychotherapy’s productivity. In my talks to parents and schools I have repeatedly emphasized the importance of a short- term perspective of improving learning or behavior problems at school. (Actually, most behavior problems are learning problems in disguise.) I don’t advocate this approach as a cost-saving measure or because therapy takes time away from other family activities, although those are valid concerns. Instead, I believe that change can begin almost immediately when therapy includes a viable action plan and a strong orientation toward goals. Now, before I start sounding like the mouthpiece of managed healthcare, let me clarify that my belief in goals reflects an assumption that having a goal supplies any action with needed energy. This is related to what is called Parkinson’s Law – the idea that work expands to fill the available time. In essence, the more time one has to solve a problem, the more time it is likely to take to accomplish that goal. Are there problems which take a longer while to fully resolve? Absolutely. Are there problems which get worse or become more complicated because problem-solving has been too slow? Absolutely. An overriding concern, however, is that most kids have a relatively short attention span. If we want them to be partners in the therapy, as they certainly should be, then practically speaking, we’ve got to work quickly. Just like adults, in most cases children are motivated by results. If your son has been frustrated that his efforts have not resulted in better grades or your daughter is perplexed about being constantly sad, your best chance of getting them to work toward helping themselves is to get them into the kind of therapy that shows them how their actions and choices can directly, and immediately, affect their feelings and confidence. There is a formality to therapy that helps it to work. It’s a kind of formality that is often particularly impressive to young people. There is a very different feeling to discussing an issue around the dinner table than bringing it up in the context of a therapist’s office. During my years of clinical practice I have noticed that many kids seem to show signs of improvement after only a session or two – often to the amazement of parents who have been asking for these changes for some time. I call this phenomenon the “spotlight effect,” because illuminating the details of a problem helps to propel movement toward change. Consider a situation in which parents have become distressed about a breakdown in family communication, to the extent that their 14 year-old son only talks to them when he wants money or a ride somewhere. His parents may have tried to convey their concern on multiple occasions, but the boy rarely makes eye contact, or even stands still long enough to have a reasonable conversation. His parent’s frustration has resulted in an increasingly familiar, and consequently ineffective, refrain. Pleas to “talk to us” and “tell us where you’re going” get ignored and quarantined somewhere outside of the boy’s locus of concern. Well, unfortunately that information is far too valuable for me to give away here. Just kidding! Of course we’re going to discuss it here. In fact, here are six factors that you can potentially control to get a resistant child into therapy. 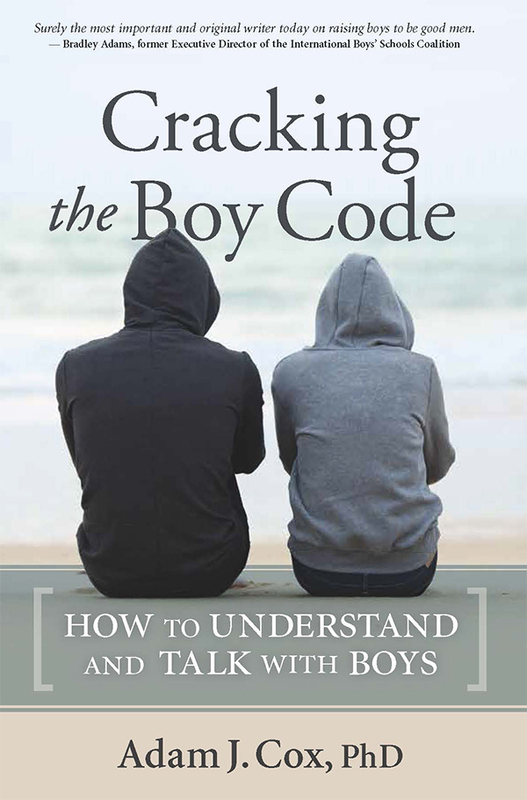 Both males and females may balk at counseling, but in my own experience, teenage boys are the most resistant. Bring up the idea of therapy at a time when everybody is relaxed and there is no particular problem in the foreground of family life. We don’t want kids to think of therapy as a punishment because it makes the therapy stigmatizing. I realize this is easier to do when the problem in question is some sort of adjustment problem, rather than something more serious such as finding drugs in her room, or four failed subjects on his report card. But usually, kids in this latter group have come to terms with the idea that there will be consequences for their actions – and therapy may be one of the least objectionable. Emphasize that a child or family member only has to give it a try. No one is required to make a commitment to going back unless he or she feels comfortable, and believes that the therapy will be helpful in some way. Make it clear that the child or teen will have a voice in deciding who is the best therapist for him or her. And stick to that promise. Ask your child if it would be okay if you met with a therapist first to discuss your concerns. This gives you a chance to interview a prospective professional and to provide some background about your child. It is always helpful for a therapist to have a sense of a child’s personality, interests, and problems before she or he meets the child. In most cases, kids don’t object to parents doing this, but in cases where there is a worry about fairness, offer the chance for your child to meet the therapist without you present. Combine the therapy visit with a more relaxed, fun activity. A favorite offamilies who come to see me is going out to dinner afterwards. (Because many families travel to see me in Rhode Island, they often turn their visit into a mini holiday at the beach, Cape Cod, etc. When all else fails: ask your chosen therapist about the possibility of a housecall. This type of visit provides a natural setting for a family discussion, and speaking as a therapist who has occasionally made housecalls, I find that doing so gives me insight into family dynamics that would have been much harder to detect in my office. Words also help to illuminate complex intrafamily relationships, often leading therapy toward a new destination. There are an infinite number of scenarios in this regard, but I want to describe one in particular that I’ve witnessed often in my own work. There is a moment of silence as everybody tries to digest the heaviness of the moment and figure out what to say next. Alicia, slowly and apprehensively, offers her perspective of the conflict between son and father. She looks nervous and never makes eye contact with Ken. Alicia knows that Ken has a hard time accepting that sometimes she sees things more from her son’s perspective than Ken’s. Like many men with adolescent kids, Ken is struggling with his wife’s mixed allegiance. Somewhere inside are emotions he hasn’t yet found the words to describe. Ken feels a “right” to Alicia’s loyalty. When he married Alicia it was just the two of them, and over the years he has grown confident that Alicia would always be “on his side.” But as Logan has grown, Ken has had to come to terms with an unexpected reality that touches many fathers. Despite the love that Alicia feels for Ken, Logan’s relationship with Alicia has even deeper roots. He was born of her body. She has always been his primary caretaker. It’s a closeness that is always present in Alicia’s mind, even if below the threshold of conscious awareness. Still, it affects virtually every aspect of her interaction with Logan, even how she feels toward him when he is disrespectful. Alicia’s bond to Logan is such that as therapy evolves it becomes clear that she is uncomfortable with sharing Ken’s moralistic perspective of Logan’s disrespect. She wants Ken to do more to earn Logan’s respect – a desire that doesn’t square well with Ken’s beliefs about how a family should be run – which reflect how his father raised him. There is a moment when everyone realizes that the problem, and especially family dynamics, are more complex than what they originally imagined. Alicia feels relieved that Ken is seeing her allegiance dilemma, and she is also seeing how she might let Logan off the hook too easily when his behavior is clearly out of line. To his credit, Ken is beginning to get the idea that love and respect need to precede discipline and obedience. Sitting between his parents, in the middle of the sofa, Logan is amazed. He was certain he was going to get slammed in these family sessions. To his surprise, the distribution of work and change to be done is spread equally among family members. He’s still less than enthusiastic about coming to therapy, but the presence of “fairness” is reassuring, and he has taken a giant step toward adulthood in witnessing his parent’s vulnerabilities and courage. One of the most common misperceptions about what children will and won’t do in therapy is the belief that they won’t talk. Many young people are anxious about meeting a new person, and at least a little confused about what they are supposed to do in therapy. However, a seasoned therapist will get a child past those hurdles by creating a comfortable, even casual environment. Hint: Food. In the old days of psychoanalysis, therapists warned against any comfort that distracted a client from the intense introspection treatment required. By way of contrast, the more contemporary emphasis on identifying pragmatic solutions to behavioral problems favors a more collegial, comfortable approach to treatment. And nothing says “chillax” like a bag of Doritos. Physical movement is also very helpful in getting conversation going. This might be as simple as having everyone play a board game, or it could involve tossing a ball intermittently to various members of the family – perhaps when they have something to say. It may sound ridiculously simple, but a game of catch connects us with one another in very fundamental ways. To the extent that we have to throw in such a way that the other person can successfully catch, it is a basic expression of empathy. Second hint: Kids don’t tell us what’s important in the same way that adults do. We adults have ways of unfolding a concern so that it is usually obvious what is most important to us. We use our voices and faces strategically in this regard. Many of the kids I work with would be mortified to think they are giving away anything with their facial expressions. Also, the rhythms and cadence of kidspeak are different. Often, the most important information is what goes unspoken. This is less a matter of deception than a reflection that children have not yet learned how to explain a problem, much less themselves. Almost as soon as therapy begins, whether it is for a family or an individual, it’s crucial to answer the most pressing question in a child’s mind. “When will the therapy be over?” To be more specific, “How many times will I have to come here and do this?” Of course this is an anxiety reaction, but it is a very useful question because it gets everyone focused on an outcome and a timeline for goals. In the very first meeting, everyone should collaborate to paint a picture of what a positive outcome will look like. That picture is a reference for measuring success. It can be modified as time goes by – but it’s imperative that people who are working hard at finding solutions have a clear idea of what they are working toward. There is a distinct difference between therapy for the sake of the experience, and therapy that is about goals. More than a few of us enjoy deep reflection and the chance to regularly process our feelings in a supportive, open minded context. Before you frown, consider that science has demonstrated that using therapy in this way may well prevent all sorts of problems that are even more expensive to treat later on. For families however, more often than not, therapy is a path to a destination. We want quick relief from what ails us. Yet even within the climate of that urgency, therapy is most important to us because every life is borrowed time, and it’s a shame to waste that time sitting on the wrong kind of couch. It’s easy to be lulled into a false sense of security by some statistics. For instance, marijuana use by teenagers has decreased 25% since 2001. Clearly, good news. Now the bad news. Increasingly, those teens that do use marijuana are using it to self- medicate for a variety of syndromes, most notably depression. The addiction potential of marijuana has always been a concern for those working with teens on substance abuse challenges. The habit-forming aspects of marijuana use are well documented, affecting users both physically and psychologically. Still, it is a different matter to help someone with an addiction that stems primarily from a self-defeating form of recreation than it is to help someone control an addiction that has emerged to cope with another problem. Depression is what is called an “ego- dystonic” syndrome, meaning that it is an unpleasant mental state that one wants to escape from. Teenagers have less patience than other age groups for unpleasant mental states, and they often act impulsively to shed those feelings – without regard for longer-term consequences. A recent report from the White House Office of National Drug Control Policy alerts us to the fact that depressed teens are three times as likely to use marijuana as their peers. Researchers are finding that the drug actually exacerbates depression, and substantially increases feelings of physical and psychological addiction. Making matters worse is that the potency of marijuana has risen steadily. In all likelihood, it is affecting your kids differently than the marijuana you might have tried in college some years ago. The bottom line is that we, as parents, can’t afford to write off marijuana use as a passing phase. Because a smaller proportion of teens use marijuana as a way to have “fun,” we should recognize that those who do use marijuana may have a significant emotional problem. If we can keep this possibility in mind, our first reaction upon finding a stash of marijuana in a teenager’s bedroom might be concern for his or her emotional wellbeing, instead of outrage about an immoral behavior. Thanks for the question about the lead article in my April newsletter. The key thing to know about purposeful work is that the “purpose” is found in a person’s relationship to the work they do, rather than in the job description. If a person finds their work purposeful, they are more likely to be rewarded with feelings of accomplishment and satisfaction, than if their work is only a means of collecting pocket money, saving for college, or demonstrating a pattern of community service for the sole purpose of a future college admissions essay. The purposeful job that meant so much to me as an adolescent was selling bicycles. It was a quantum leap from the restaurant kitchen work that I had done previously. Today, some kids are lucky enough to find work that not only makes them feel individually important, but also has a high degree of relevance for their community – even our planet. These days I’m meeting kids who are working as marine biology assistants, camp counselors for special needs kids, and wilderness guides for troubled teens. I believe those kinds of jobs are exceptional, and that purpose can be found in virtually any workplace where a young person is challenged to reach beyond her or himself. The debate about neurofeedback’s benefits can be quite intense, with advocates believing that it is the treatment of choice, while skeptics believe that its positive effects are relatively minor. From my perspective, you are already doing plenty to help your daughter – and you deserve a pat on the back for being so proactive. Great job! Neurofeedback has helped some people, but I have heard patients and families complain that the effects did not last very long once the treatment was stopped. It is also somewhat inconvenient given that treatments typically take place several times per week. If you are seriously considering this treatment, please ask for several patient referrals from the practitioner you would get the neurofeedback from. Talking with those people should help you decide whether the treatment is worth the time and expense. The exact actions of psychostimulant medication are still being investigated. However, scientists do know that psychostimulants enhance the production of norepinephrine, a key neurotransmitter for executive thinking skills in the brain’s prefrontal cortex. So, yes, hyperactivity can be understood as a kind of self- stimulation to compensate for a brain that isn’t producing enough stimulation on its own. Busy hands and bodies feed the brain some of the stimulation it craves. When we give someone a psychostimulant, the brain begins receiving needed stimulation from the action of the medication – and as a result, the body will often calm down. Do you have a question for Dr. Cox? Email your query with “question for Dr. Cox” in the subject line -your question may be answered in an upcoming issue of Family Matters! We’ve moved – my new clinical office is 3964 Main Road, Tiverton, RI 02878. Telephone: 401- 816-5900. Feel free to email my office via this website and request to be put on our Location List, so that we can advise you if I’m doing a public program in your area. (Please give name, email, city, state/province, and which program(s) you’re interested in. Also include contact information if you’d like us to forward workshop information to any local groups in your area.) Workshops at schools and community groups help me to explain not only “what” to do, but show “how” to do it. Thank you. © 2019 Dr. Adam Cox	, All Rights Reserved.